The explosive nose combines aromas of citrus blossom, honey and baked apple with an edge of toasted almond and clove. The multi-dimensional palate is rich yet vibrant with flavors of sweet lime, apricot and spicy ginger, lifted by powerful minerals and citrus peel. The creamy texture is dense yet precise and fills the mouth with leesy stone fruit flavors, subtle vanilla and nutmeg and a wonderful old vine extract. The finish is long and penetrating with focused acids balancing the richness of the palate. Our 2000 "Chloe" Chardonnay represents the first single vineyard release from DuMOL. This wine is our most complete Chardonnay to date and warrants an individual bottling and designation. We feel it achieves the elusive goal of harmony between richness and finesse, concentration and balance, which is testament to a great vineyard. 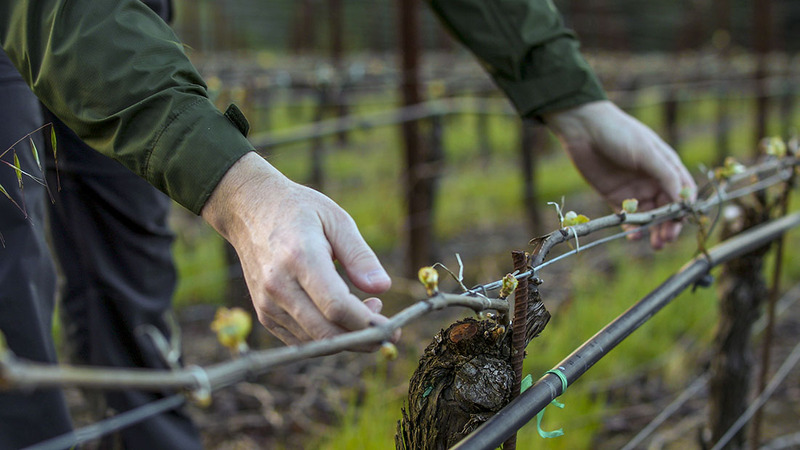 These mature vines on our Occidental Road Vineyard produced a low yield of small clusters and tiny berries of wonderful intensity and the site's cool maritime climate favored acid retention, providing backbone to the natural fruit extract. The moderately paced ripening of the 2000 harvest season further enhanced fruit concentration and acid balance, as sugar maturation tracked flavor maturity, which is generally atypical in California. In the cellar, our sensitive approach to winemaking allowed the wine to develop at its own pace. An extended Malolactic fermentation (ML) of 8 months enhanced textural complexity and integrated the natural acids. Periodic lees stirring through the end of ML added viscosity to the palate and buffered the wine against excessive oak pick-up. The wine was bottled unfined and unfiltered after an unusually long elevage, which harmonized the wine's cool climate flavors and structure and allowed the strong vineyard character to shine through.